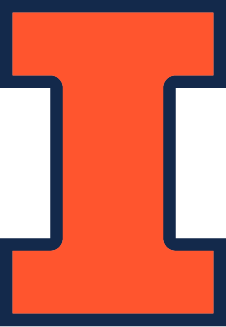 The Information Trust Institute (ITI) at the University of Illinois provides national leadership combining research and education with industrial outreach in trustworthy and secure information systems. ITI brings together over 100 faculty and senior researchers, many graduate student researchers, and industry partners to conduct foundational and applied research to enable the creation of critical applications and cyber infrastructures. In doing so, ITI is creating computer systems, software, and networks that society can depend on to be trustworthy, meaning that they are secure, dependable (reliable and available), correct, safe, private, and survivable. Instead of concentrating on narrow and focused technical solutions, ITI aims to create a new paradigm for designing trustworthy systems from the ground up and validating systems that are intended to be trustworthy. Within those themes, ITI is home to several major center-scale efforts, dozens of smaller-scale projects, and a variety of initiatives designed to nurture research in specific areas. ITI's education programs recognize the crucial role of workforce development in ensuring the future of trustworthy information systems. Major ongoing education efforts include an annual summer intern program that attracts promising undergraduates from around the world, and the ICSSP scholarship program, which pays for up to 2 years of bachelor's degree studies for U.S. citizen students concentrating on information assurance. In addition, ITI presents two seminar series, short courses, summer schools, workshops, and other special educational events, and provides academic advice to students who wish to concentrate on trustworthiness-related coursework. ITI is very much an academic/industry partnership, and it welcomes collaborations with industrial and other organizations. To learn more about ITI or for information on how you can get involved, write to iti-info@illinois.edu.